Brands aren’t static. In almost every industry, change is constant, from consumer preferences to performance demands. And all the while the competition is crowding the marketplace. It takes the a nuanced eye to identify whether an exciting trend is a fad or a solid opportunity. Bruce Turkel has the experience to identify truly great opportunities for your brand to evolve into something better and still stay true to your core values and promises. 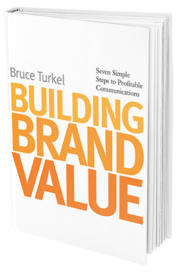 If you’re still unsure where your brand’s focus should be, here are Bruce Turkel’s 7 Steps to Building Brand Value. They will highlight precisely where your focus should be placed. Brands aren’t static. In almost every industry, changes are constant, from consumer preferences to performance demands and all the while, the competition is crowding the marketplace. It takes the experience to identify if a rising trend is a fad or a solid pocket of opportunity. Bruce Turkel has the experience to identify truly great opportunities for your brand to evolve into something better and still stay true to its core values and promises. 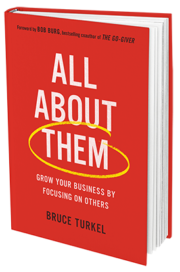 If you’re still unsure where your brand’s focus should be, here are 7 Steps to Building Brand Value from Bruce Turkel that will highlight where you focus should be. Today’s world is a busy, confusing place. To make an impression and an impact, your message must be concise and digestible. A message is truly powerful only if it is associated with you or your product. Make sure that the message you’re presenting belongs only to you. 7 – Repeat. Repeat. Repeat. Say it again. Messages are more effective and believable when they’re repeated. People make decisions based on emotions and justify their decisions with facts. To get someone to pay attention, you must get them emotionally involved. Things happen so fast these days that if you take your time, no one will wait around for you to explain your entire message. Conversations involve all the human senses. To communicate effectively, be sure that you’re engaging as many of your audience’s senses as possible.